You will see as I do, that Dallas architecture is viewed through the lens of one’s experience, one’s community, one’s neighborhood, one’s street, one’s home and the evolution of the architectural landscape for good or bad. Here you will read quotes and thoughts on architecture by philanthropic leaders, an artist, a senator, architects, homeowners, tastemakers, and those passionate about design and Dallas. The first quote is by Dallas architecture critic Matt Lamster, expressing his initial impression of Dallas. So there is a tendency, especially in Dallas, to think of the city as a collection of discrete objects floating in the space of an urban grid. Mark Lamster’s first statement about Dallas in inaugural architecture column in The Dallas Morning News as new architecture critic. A city’s architecture is its signature, its particular language; clear or muddled, concise or puzzling. The Lamplighter School honors Frank Welch for his architectural work at the school, and he discusses his work and affection towards Lamplighter. Frank Welch, FAIA, is a revered Dallas architect who links the legacies of architect David Williams and architect O’Neil Ford, who are created a Texas modern style to reflect indigenous qualities of Texas with the modernism of Europe, with young architects who are creating their own interpretation of Texas modern design. Good architecture makes you happy every time you return to it. No one in Dallas has done more for the arts and architecture than Mrs. Eugene McDermott. Well beyond her incredibly generous philanthropy is her civic leadership, the vision she provides, her insights, and the encouragement she gives to those in all fields and the special encouragement she has given to architects. I grew up on Swiss Avenue. As a child, I even appreciated the parkway in the middle – as well as the beautiful and diverse homes in Munger Place. Everyone should go see the beautiful, charming neighborhood that still remains. Ruth Collins Altshuler is an elegant, humorous, intelligent woman who has been vitally involved in Dallas, from serving as chairwoman of the SMU Board of Trustees to, most recently, chairwoman of the committee appointed to plan the 50th-anniversary commemoration of the John F. Kennedy assassination. You should not tear down a home to replace it with the same home, only bigger or newer, you should create something different and better. Deedie Rose has had an incredible impact on Dallas and its interest in architecture, from personal conversations with those desiring good architecture to her philosophy and leadership. Read More About 5 Willowood St.
Also, it has helped Dallas to have so many people from all over the world moving here. Pamela Nelson is a very talented artist with a vivid understanding of architecture and space as it relates to art. Pamela Nelson has created art for public spaces, she has created art as a material to be incorporated into architecture and design, and she has curated art for our public spaces in Washington, D.C. The skyline of Dallas has soared in the last 20 years – interesting and diverse buildings with an emphasis on arts and downtown pocket parks, and all enhanced by the Calatrava-designed Margaret Hunt Hill Bridge. Senator Kay Bailey Hutchison is also known as a friend and neighbor to many in Dallas. 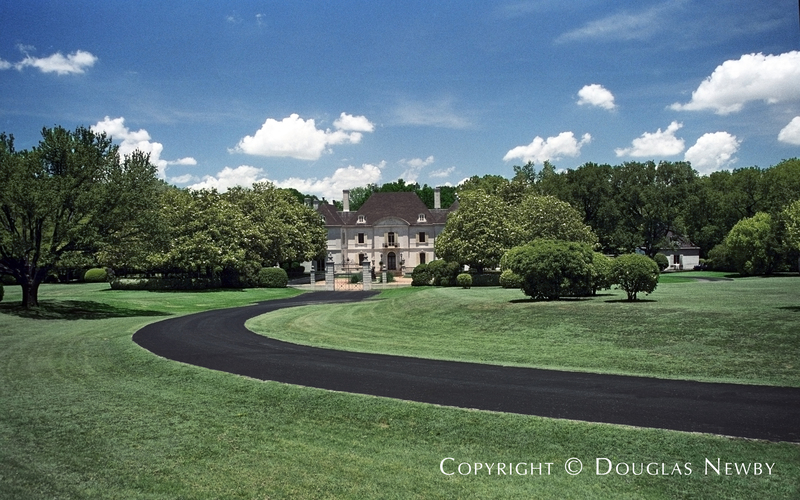 Senator Hutchison and her husband Ray Hutchison were one of the first of a new generation to move on to Swiss Avenue in the 1970s and restore a Lang and Witchell architect-designed home. To me architecture is like lighting a lamp to one’s daily living. It is necessary for the soul. Architecture provides a way to frame these beautiful gifts we’ve been given, these gifts of light and shadow. I have always said if that if one grows up in an architect designed home, it is very likely one will hire an architect to design one’s own home. Kalita Beck was raised in a Philip Johnson-designed home. Kalita retained Max Levy, known for his exquisite ability to capture the sun and its display of evolving and dissolving patterns of shadow. 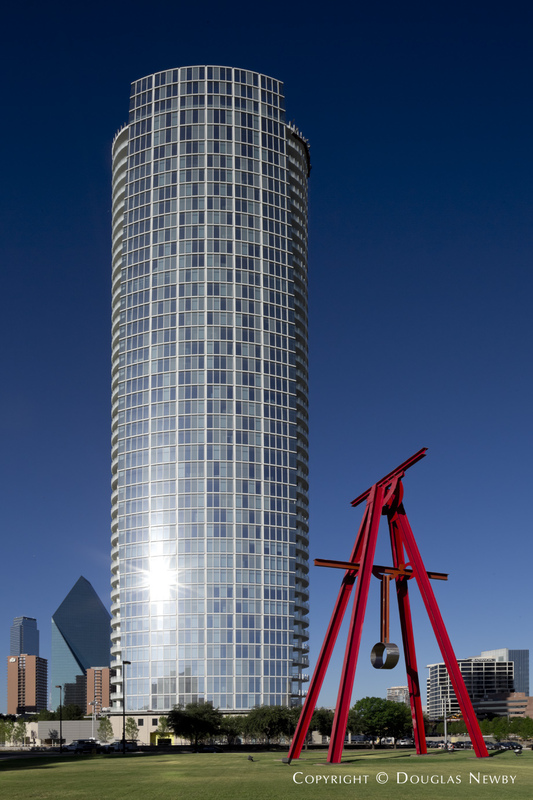 Dallas is putting together a great collection of contemporary architecture. What is needed now is for local designers to learn from this art and spread it throughout the city in their own special way. Lee Cullum reflects the best of Dallas as she thoughtfully moderates national discussions on art, architecture and international affairs. Dallas is adding a new dimension to our success and our skyline. Everyone is talking about the Margaret Hunt Hill Bridge, the only vehicular bridge Santiago Calatrava has designed in America, now a permanent exhibit in our own back yard. The sculptural Perot Museum of Nature and Science will be the envy of science museums around the world. Our city also boasts the largest contiguous urban arts district in the country, with five venues designed by Pritzker Prize-winning architects. Take a step further and you find the new Woodall Rodgers Klyde Warren Park, taking shape across five lanes of traffic, connecting Meyerson, Winspear, Wyly, Nasher, DMA, Hill Bridge and the Perot Science Museum. These five acres of shared, public green space will strengthen our community and provide a walkable link between dynamic Uptown and the Arts District. As an architect, I am proud to be from a city that is working on its heart and valuing its art - a city built on commerce that is translating economic success into spiritual significance. Christy Blumenfeld is part of a new generation of female architects who are adept at design and working with a site and architecture. The substitution of 10,000 sf houses for two smaller two story residences on adjoining lots – in old Highland Park; desirable or not? The conversion of Highland Park Village from a neighborhood shopping center to Rodeo Drive – desirable or not? Joe Foster, a commercial real estate broker, is very involved with the community and is a long time Highland Park resident. Dear Douglas, Dallas has some beautiful homes – some traditional and a few really great contemporary ones – the Arts District is cutting edge and, like it all or not, it was the artistic way to go. What baffles me is the people who cling to old designs when so much is possible with all the new materials in architecture available. Dallas has a few really great architects and I wish they had a shot at some of the arts buildings – overall I think we are doing great artistically. Nell Beck has a great eye for architects, architecture and design and a great appreciation for classical and modern architecture. As the owner of the Mark Lemmon home, I am distinctly aware of the amazing architecture trove that can be discovered in Dallas. These many one-of-a-kind treasures are the history and fabric of what makes our city so wonderful. 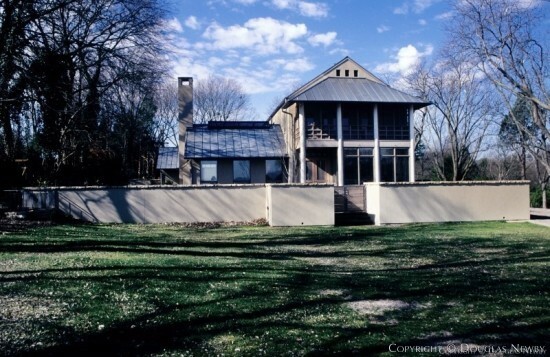 Anthony McClure was one of the founders of the Park Cities preservation movement, with the meticulous renovation of his early and influential Mark Lemmon house. Wives have come and gone, but my friend and architect Nick Glazbrook has stayed the course, turning houses into homes, in the modern tradition, with patience and integrity. When we picked the current downtown site for the Dallas Museum of Art, we did not know initially that this downtown area would become the favored location for a completely new Arts District. When the other arts entities decided to join us there, it was a great day for Dallas because in its development it would attract for the other arts organizations some of the most beautiful architectural designs in our nation. George V. Charlton has been an extraordinary influence on Dallas with his work with the Dallas Museum of Art and the Dallas Historical Society. Every time I look at the Arts District I feel great joy and have pride. I remember it when…..
Jane Wetzel is a Dallas intellectual force who contributes to organizations and to the dialogue of Dallas. Do you want to see outstanding and unusual, simple and complicated, traditional and contemporary architecture….both residential and commercial? Drive the streets of Dallas. A Preston Hollow estate homeowner. I love and appreciate Dallas’ renovated homes, churches and courthouse. Thank you to all who participate in keeping our beautiful treasures. Architecture is art wrapped around design. Dallas is cosmopolitan in its architecture because it love of art is cosmopolitan. Over the years, Dallas architects have rightfully received their acclaim for designs – that’s because they understand their work is art! Craig Enoch, a prominent attorney and an esteemed Texas Supreme Court judge, has avocationally followed and admired the evolution of architecture in Dallas. Significant buildings, commercial and residential make Dallas a “must visit” city for fans of architecture of today. Howard Rachofsky has generously opened his Richard Meier-designed home for both local and international visitors. Dallas TWO x TWO for Aids and Art has become a week of events centered around pre-parties and a party and auction held at the Rachofsky house. "Development screws up good dirt." Bart B. Brown is a Highland Park owner of an architecturally significant home. "Don’t worry about people stealing an idea. If it’s original, you will have to ram it down their throats." Rom Wommack, FAIA, is an architect who trained with two iconic architects – Frank Welch and Bug Oglesby. His strong architectural work has received the highest honors. He is also much admired for his generosity to the community. In 1980 famed architectural critic David Dillon wrote a scathing article in D Magazine entitled "Why is Dallas architecture so bad?" It dealt primarily with the huge corporate entities and major downtown structures recently finished or underway, but several of the renowned architects and city leaders involved then later became known for their leadership in the city’s fast-paced home design explosion – slowly but surely making it into the outstanding success story it has become. Sometimes it takes a dose of harsh criticism to open minds and hearts. Hugh and Paula Aynesworth are synonymous with Dallas and its evolution. Hugh Aynesworth is best known as the key reporter on the Kennedy assassination and had made 50 years of journalistic contributions to Dallas in many forms. How fortunate we are to have had our dear friend and renowned architect, Frank Welch, design our home. His architectural genius delights the spirit, soothes the soul and brings inner peace. Cindy and Bill Ward, a prominent couple who generously supports the awareness of good architecture and whose own home is an example of architectural achievement. Dallas architecture, with beauty, variety, and elegance inspired by many countries and sources, also reflects a strength and purpose derived from its prairie beginnings and pioneer stalwarts. They tamed their environment and were able to bring forth the foundation of the architectural standards that we enjoy today. Fortunately, Dallas has designed certain areas and communities for historic preservation enabling us to see and trace our architectural heritage through past decades. Joan Swalwell has owned and nurtured Dallas historic and significant homes, adding to the visual delight and history of Dallas and Highland Park. I can draw elegant architectural details all day long, but without the incredible abilities of the craftsmen we have in Dallas, working in wood, stone, and steel, the effort would be futile. Richard Drummond Davis is a Dallas born, Princeton educated architect who has designed many of the most impressive estate homes. Dallas probably has an example of work by the outstanding architects of today. It may not be their best work but come and see what we have. Gloria Wise, as executive director of the Dallas Chapter of the American Institute of Architects, was an incredible influence on young and old architects alike, nurturing and connecting with clients and with each other to the benefit of Dallas. Architecture, at its finest, is the utilitarian, sculptural art from with which we live on a daily basis. Harriet and Allen Rubin are avid international travelers, seeing the best art and architecture in the world. They have renovated an early modern Dallas home. Dallas is a city full of energy, creativity, great design, and amazing architecture. The Arts District with buildings from world-class architects combines color, form, proportion and lighting, all in harmony to enrich our goals and provide a sense of well-being. Sally Rosen has renovated architect designed modern homes and curated midcentury art and jewelry as a vocation. The city of Dallas is, without a doubt, (one which is) rich with cutting-edge style makers. Stanley Marcus paved the way for others in this endeavor. Dallas has quickly become a mecca for modernism, as evidenced by the burgeoning market for both mid-century modern home and post modern homes. It is refreshing to see such unique and “forward-thinking” architecture sprouting up in every neighborhood throughout Dallas. Dr. and Mrs. Howard Cohen have a deep understanding of Dallas, its history and architecture, and live in a midcentury modern home. I do enjoy looking at the architecture in the homes in Dallas. 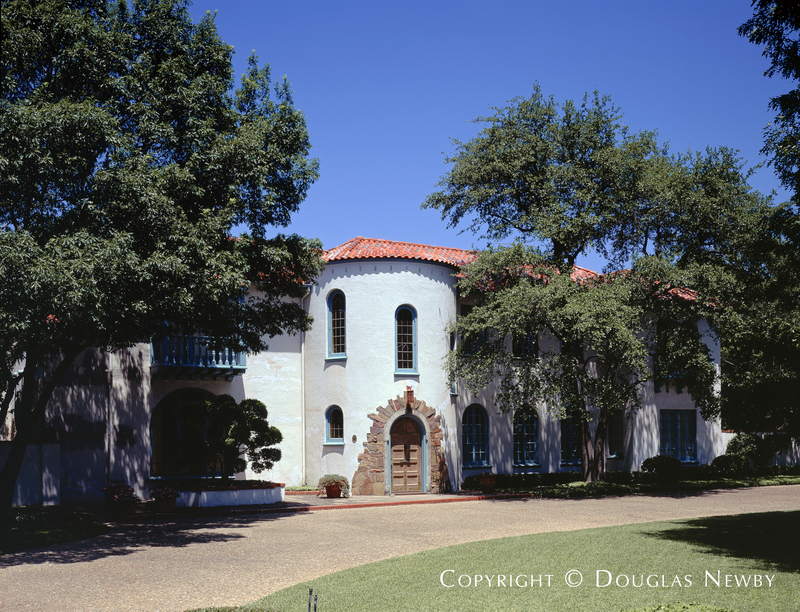 In 1945 I went to work at one of the most outstanding homes of architecture in Dallas. This home is still one of the most outstanding examples in Dallas. I lived on the estate for 24 years. I took care of this estate for 54 years. My daughter learned how to ride a tricycle, bicycle and learned to drive never leaving the estate. I still love to ride around Dallas looking at the different architecture of homes. Orville Pate was the estate manager of the Crespi Estate for 50 years. Estate managers understand good architecture in such an intimate way because of thinking about and how it works both physically and programmatically for the family. Older Dallas neighborhoods have a vast assortment of fine homes that display an appreciation for classic architectural styles. These elegant homes represent the beauty and grace of design that is ageless. Carl Schieffer is the founding president of a Dallas bank. His interest in neighborhoods and architecture goes way beyond a banking interest. He is passionate about good homes and significant neighborhoods. Don’t forget Gordon Nichols …genius!! Dallas may be short on compelling landscape or an obvious presence of history, but its ever expanding architectural ambitions compensate fascinatingly. Max Levy is the architectural poet of Dallas in design, thought and words. While the nation endured the Great Depression, Highland Park blossomed on the profits of the East Texas oil boom. Much of that legacy remains today – lovely pre-war homes on tree-lined streets, gracious neighborhoods well worth our efforts to preserve them. A long time Highland Park resident, Dan Owens’ interests span from film festivals to the UTSW Medical School and his family’s lovely Hal Thomson-designed home. Dear Doug – thank you for your interest and concern for Dallas architecture – I do believe there has been improvement in the last twenty years and you have helped bring it about. Virginia DeCleva is generous with Dallas and generous with her thoughts on contributions to the architectural landscape. When one looks beyond the neo Tuscan and faux Tudor dotting the Dallas landscape, a body of great modernist works can be found. This reflects the true Dallas – forward thinking, innovative, and inspired. Greg Rohan is president of Heritage Auctions which has many specialities including luxury. Greg and his wife have beautifully renovated an important home in Northern Hills, one of the most admired small neighborhoods in Dallas. When you live in an architecturally significant home in Dallas, it causes you to notice how many other distinctive homes Dallas has to offer. Our 1934 home designed by Charles Dilbeck continues to be a source of warmth and price for my wife and family. Mixing new with the old is always the best! Architecture reflects values, culture and the importance of place. Ralph Hawkins, president of HKS, collaborated with Steve Chambers, AIA, on his family’s modern home. Over the past 30 years Dallas has transformed from hidebound design to a city that embraces outstanding contemporary architecture…Placing itself amongst the best cities of the world, now that’s exhilarating! Mark Domiteaux is an accomplished Dallas architect, contributing to each neighborhood in which he has designed a home. Architecture has been in my blood since early childhood. I moved to a home designed in the style of Palladio when I was three! Architecture was a thread throughout our family’s dinner table conversations over the years. Though I am just a lay person expounding my impressions of “Dallas loves Design,” I have always felt and known that Dallas is an artistic leader in the world….not only in interior and design, but graphically in the advertising market, fashion-wise in the retail market, unique in the city’s theatre, museum, symphony and opera presentations. I think Dallas embodies that one wonderful word that summons it all up….pizzazz! Priscilla Walker has an original home in Turtle Creek Park, one of my favorite Dallas neighborhoods and it is close to everything interesting in Dallas. Dallas should have banners up on all streets and bridges welcoming you to our city. Architects show us who we are because Architecture is the materialization of spirit. A monumental force in the shaping of Dallas, Gail founded the Dallas Institute of Humanities and Culture, the What Makes a City? Conference, and the Trinity Trust. "Architecture connects us to nature and our nature within."